A cough drop and some chocolate sit on Renée’s work desk. Her plan: guzzle both down with water for lunch and avoid her coworkers who are audibly planning a fast food outing just a few desks away. Renée, a junior studying history, asked that her chosen nickname be used to identify her instead of her real name. The truth is, she would have loved to go with her coworkers to eat together and chat that afternoon, but Renée had spent her most recent paycheck on tithing, rent and tuition, and then it was gone. She couldn’t possibly afford to go out with her coworkers. And she couldn’t bare the shame of telling them she had nothing to eat. “I’d rather starve,” Renée thought to herself at the time. In their most recent study, Feeding America revealed Madison County experiences the highest rate of food insecurity in the state of Idaho. 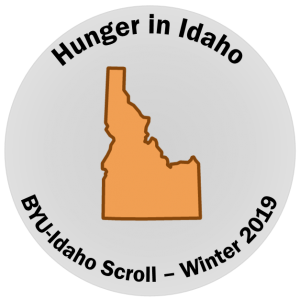 A new study by the Communication 440 class suggests that just under half of BYU-Idaho students suffer from some level of food insecurity at BYU-Idaho. Additionally, a GAO report found 1.8 million college students across the U.S. who were eligible for food stamp assistance programs were not receiving them. For Renée, a combination of medical bills and an inability to receive student loans were all it took to erase the food from her plate. During this time, Renée originally worked a part-time job while attending school, but it was not enough to pay for her tuition and rent while leaving enough money left over for food. She began to employ creative solutions. Renée could not turn to her parents for help because they were in the same financial situation she was in, so she turned to her roommates instead. 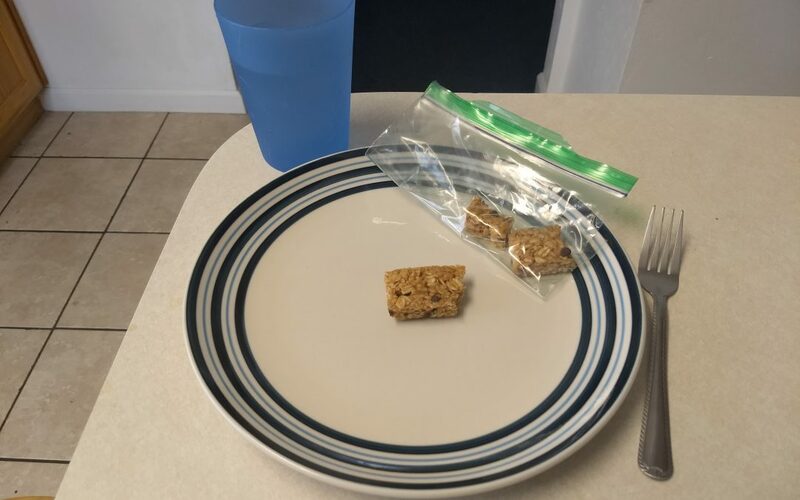 “I would ask to borrow my roommates’ food and promise to pay them back — which I honestly tried to do, but sometimes I just couldn’t,” Renée said. Renée’s sister also struggled with having enough to eat. She has painful stomach ulcers that require specific foods and eating habits. When Renée realized someone she cared about also needed help, she felt more confident seeking help for both of them. She and her sister began meeting with the bishop of her old ward to receive food assistance through the Bishop’s Storehouse. There are a variety of resources in Rexburg for those in need of food assistance. Aside from food stamps and local government assistance programs, students can turn to the Madison County Food Bank located behind the Family Crisis Center. In Renée’s case, she felt uncomfortable going to the food bank out of fear she might be taking food from others who needed it more. Renée quickly acknowledged that she was afraid, and possibly even embarrassed, to seek food assistance. However, she said these feelings stemmed from a worry that others might be worse off. She would never want to take food that could have gone to someone else. Renée said her situation has improved only marginally since last year. She landed a full-time job and now works 40 hours a week sitting at a desk. While she still spends nearly her entire paycheck on tithing, rent and tuition, and still has trouble having enough to buy food, Renée hopes the future will be bright for her. Back at work, one of Renée’s coworkers finally approaches her and asks if she’d like to go to lunch with them. The answer, of course, is yes. But she can’t afford it. “No, I’m fine,” Renée says. Her coworkers appeal Renée’s answer and attempt to convince her to come. If she chooses to go, she knows she will feel needy and embarrassed. But after a coworker offers to pay for her meal, Renée reluctantly accepts the offer anyway.